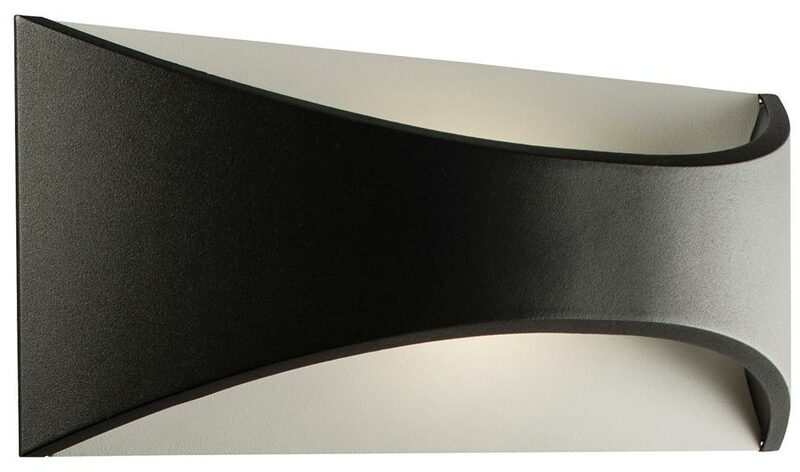 The Vulcan, black 300mm 12w LED outdoor wall light, rated IP65 is a cast aluminium exterior wall fitting, with an energy efficient 12W COB LED directing a warm white wash of light up and down the wall. Rectangular wall mount and black curved outer fascia that provides 640 lumens of light. A useful, modern addition to any outside space. Can also be mounted vertically to give light to either side. Finished in textured matt black but also available in matt white and in a smaller version, please scroll down to view.